AT THE GATES, pioneers of the "Gothenburg style" melodic death metal sound, has just finished recording, mixing and mastering work for their upcoming studio album, At War With Reality. They have confirmed release dates of October 27th in Europe and October 28th in North America through Century Media Records. With the classic line-up of the new album, Slaughter Of The Soul (1995), AT THE GATES held the recording sessions for At War With Reality with Fredrik Nordström at Studio Fredman (IN FLAMES, ARCH ENEMY, DIMMU BORGIR) and then proceeded to mix the material with Jens Bogren at Fascination Street Studios (OPETH, AMON AMARTH, KREATOR). 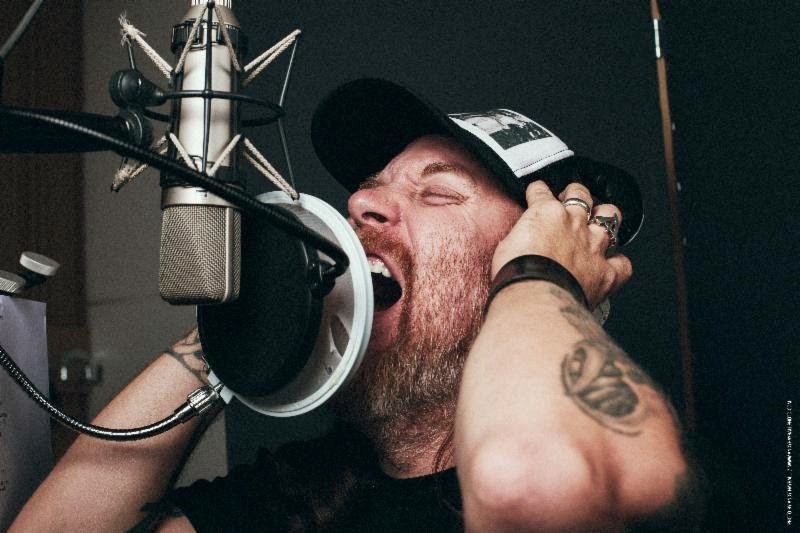 AT THE GATES vocalist Tomas Lindberg says, "We are very excited to finally have finished this new album. An album that we've been working on for over a year now. It's by far the most challenging record that we have made, but it's an honest album and I think that you will feel that it is faithful to the legacy of AT THE GATES. We have, through the process of creating it, been true to ourselves and our art. From hearing the first demos that Anders presented to the band last summer, through the extensive stages of songwriting, pre-production, rehearsals, recording and mixing, we now finally got the finished album in our hands. We are very happy to have managed to produce an album that we feel is truly 'us'. Something we can all stand behind one hundred percent. I can't wait 'til you all get to hear it!" AT THE GATES also announced their next international touring runs for 2015, which include visiting South Africa for the very first time in May, as well as shows in Greece and Turkey in January, plus Norway in February.